According to the authors of Freakonomics, people who purchase gym memberships overestimate their attendance by 70% (and Tightwad thinks this number is low!). As a result, much of the average annual cost of memberships is lining the pockets of gym owners and doing nothing for your waistline. If you struggle with getting to the gym every day, try getting fit at home for a fraction of the cost. Though you may not have the fancy equipment offered by fitness clubs, you can still meet your goals for less by considering the following tips. Buy from gyms Gyms undergoing renovations or making upgrades to their fitness equipment usually sell off their old stuff at killer prices. Call around to find out if any local fitness centres are currently selling old equipment or if they have any plans to do so in the future. Buy used In addition to scanning Craigslist and hitting up local garage sales, you can also look for re-manufactured options online. When buying from private seller, be sure to research the brand and test the equipment before any money changes hands. Shop online You can often find great deals on fitness clothing and accessories by shopping online and comparing promotions. Get fit the old-fashioned way Squats, push ups and tricep dips all great ways to workout without equipment. Get creative with items around your house. A chair is a great tool for step ups, tricep dips and decline push ups. Cans of soup can be used in place of small hand weights and a jump rope is a great way to burn calories quickly. 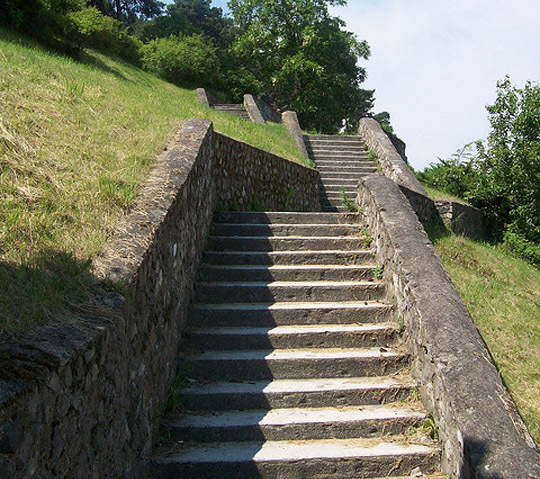 Find some local stairs that will challenge you and make it a habit to go there a few times a week. Check out discount retailers Discount retailers are great resources for basic fitness accessories like DVDs, yoga mats, stability balls and fitness clothing. Use technology Get free workout tips on your phone with exercise apps or find free personal training videos online at sites like FitnessMagazine.com, or even youtube.com. If you pay for cable, take advantage of the morning fitness videos available. Check your policy Healthy policyholders means less risk for pricey doctor's bills, and select health insurance providers offer incentives for fitness programs. Check with your provider for fitness programs that offer discounts on activewear, fitness rentals and equipment purchases.